Orlando's Sustainable Landscape Design - 3X Best of Houzz! Sustainable Horticultural Environments specializes in design that focuses on the clients ultimate dream landscape that is not only beautiful but Florida-friendly, water conserving and low maintenance. We are a full service residential landscape design and installation company specializing in water wise, Florida native and Florida friendly landscape designs and improvements. My Focus for your project will be to help you realize your goals for the project, with guidance along the way. My service is custom tailored for each client's individual needs and preferences with an emphasis on quality. I can integrate styles and elements such as modern, xeriscape, Florida Friendly Landscaping, water wise, native plants, butterfly gardens, edibles, and natural stone. I am also a turf and irrigation specialist. Along with any project I make it a point to help stop the St. Augustine replacement cycle most folks are frustrated with. I am an A-Z owner operated landscape contractor who personally manages the installation of your project from start to finish which guarantees the quality of our workmanship as the result of the direct supervision of the owner. I am detail oriented and specialize in existing residential landscape improvement. I emphasize quality over quantity and your property will definitely reflect that approach. If you are shopping bids, you may find a lower offer but I guarantee it will not be for the depth and quality of work you would be receiving from Earthwise. Please watch this brief video interview: <a rel="nofollow" target="_blank" href="http://www.dailymotion.com/video/x3pa128_earthwise-horticultural-services-video-sanford-fl-united-states-home-garden_shortfilms">http://www.dailymotion.com/video/x3pa128_earthwise-horticultural-services-video-sanford-fl-united-states-home-garden_shortfilms</a> We can help by: 1. Recommending and installing plant material that is suited to your property. 2. Improving existing irrigation systems so that water is not wasted. 3. Providing strategy during the planning phase and quality of work during the install phase to ensure long term success. We believe in creating living spaces, carefully designed to be in harmony with the home, and it's surrounding environment. Allow us to design your Pool, Landscape or Hardscape project today! Designing and creating a unique landscape that elevates the quality and enjoyment of life has been the passion of BLG Environmental Services for over 20 years. Through our comprehensive range of quality services including landscape installation, irrigation, outdoor lighting and hardscaping, we provide a complete and professional design/build experience. 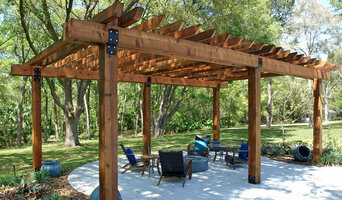 For over 20 years, we have been one of Central Florida's top landscape design & build teams. Working with home owners & builders from the conception to planning & creating your new landscape design. Terra Consulting & Design is a residential and commercial Landscape Design & Installation company, located in Orlando, Florida. We specialize in artful design and impeccable installation, which is thoughtfully planned to meet the needs and desires of our clients. Every property is unique and our design style for each project is, therefore very customized as well. We are different from other landscape companies because we specialize in design and installation only. We do not provide property maintenance and are entirely focused on what we do best: Design & Installation. Garden, Stone & Home offers Pool, Landscaping, Masonry & Exterior Home design and installation services to our customers within the Central Florida region. We believe in creating living spaces, carefully designed to be in harmony with the home, and it's surrounding environment. We take great pride in our ability to develop improvements to the exterior of the home which integrates with the landscape and finishes the architectural components of the project. Swimming Pools are also our specialty, and most often, projects begin with the design of the pool. Allow Garden, Stone & Home to design your Pool, Landscape or Hardscape project today! Orlando Full Service Landscape Design. Best of Houzz 2018. We specialize in artful design and impeccable installation, which is thoughtfully planned to meet the needs and desires of our clients. Garden Traditions combines the expertise of a Bachelor's Degree in Landscape & Ornamental Horticulture from Auburn University with decades of experience in every facet of the Green Industry in Florida, and around the nation. This combination of academic studies and a lifetime of practical landscaping experience comes together to allow you, the landscaping consumer, an opportunity to install a DIY landscape of which any professional would be proud., or, alternately, to hand a pre-designed blueprint to three or more landscape contractors and obtain truly comparable Apples-to-Apples bids for your landscape project.. In the residential landscape market it has typically been impossible to compare landscaping bids because each landscaper provides his own bid, all varying in scope and detail. Many do not even provide a sketch! Garden Traditions steps into that gap, closely listening to each desire that the clients express, deftly combining them into a design that makes dreams come true! 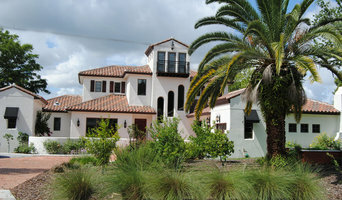 One of the top residential landscape and hardscape design/build firms in Florida with over twenty years of experience. 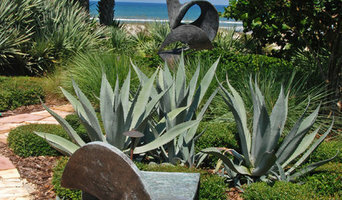 We are one of the premiere landscape and design architects for the Space Coast. Professionally recognized as a full service landscape design, build and maintenance company; we are dedicated to providing excellent customer service. Our success is driven by the creation and maintenance of breathtaking landscapes and gardens combined with the firm belief in dynamic collaboration between client and designer. We want to build strong relationships with our clients along with landscapes that improve the quality of their lives and the planet for many years to come. As leaders in landscape creation with over 20 years of horticulture and design experience, we can make your landscaping dreams come true. No job is too large or small and each one is engineered to add curb appeal and value to your home. The enthusiasm for every project, the synthesis of ideas and the commitment to superlative quality inspire the creative expressions found in our wonderfully crafted outdoor environments. We offer unique and sustainable landscape design. Each design is personalized to the needs and desires of the client and the specifics of the site. We also can install and maintain the landscape according to the design intent. We are a local family owned and operated business with over 20 years in the landscape industry. In Roman times, a hortus was an elaborate garden usually kept by the higher classes. Hortus Landscaping is passionate about providing beautiful garden options for everyone! We are a full service landscaping company serving Brevard County, Florida. We believe in the fundamentals of permaculture design, and the integration of edible plants into Florida’s landscapes. Our knowledge of design and plant selection, along with our experience and affordability, makes us the obvious choice for all of your landscaping needs. Call us for design services, plant installs, sod, hardscape borders, pavers, clean ups, maintenance, and much more!